Amazing Split 2 bedroom floor plan at The Residences in Hollywood. 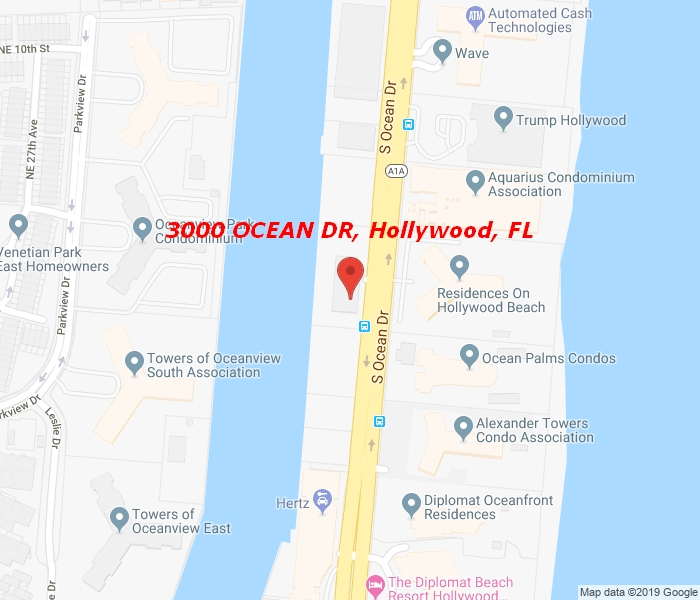 The unit has been updated with marble floors throughout, large kitchen with all new appliances and granite counters, and beautiful intracoastal views The building offers every amenity from pool, to gym, cabanas, convenience store, steam/sauna, Tiki Bar, 24 hr security. Fabulous location on Hollywood Beach with close proximity to the best dining, shopping and so much more. Easy to show, call Listing Agent.